With summer coming to an end, young people are heading back to school and work, making it the perfect time for seniors to enjoy a great, and less vacation. 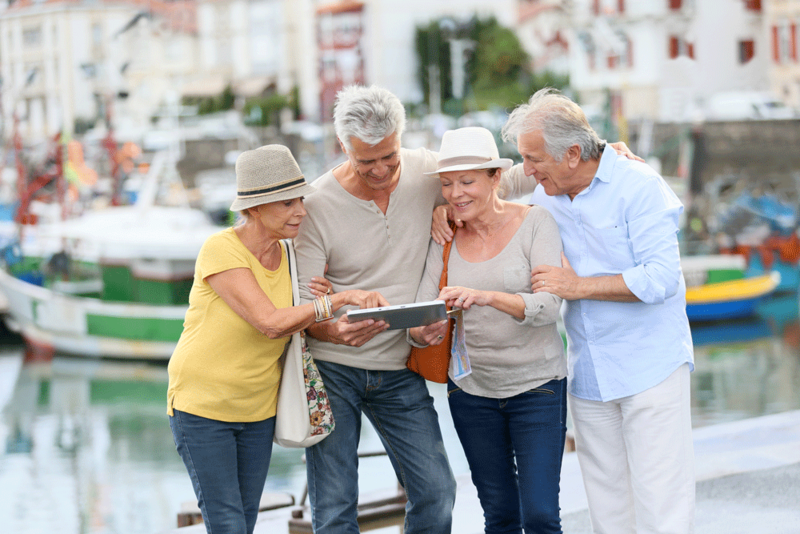 Travelling as a senior can be difficult, but there are no age limits to travel. Any aggravation travel or travel planning causes, is well worth it once you’re out on the road or in the air. Never listen to that little voice in your head that tells you that solo travel is for youth. That voice is wrong! Older travelers, just like you, are everywhere, and the world is more and more accommodating to your needs. Whether you’re travelling solo, or with a small or large group, this article, and our past article with senior travel tips, has some basic tips and rules to abide by to stay safe and happy during your travels. As an older traveler, it is likely that you have some flexibility as to when you travel. The shoulder seasons, or April through mid-June and September and October, are when you will find the best prices. Plus, resorts and destinations will be less busy, meaning you’ll likely get either a) a more authentic experience or b) a more relaxing experience. You don’t need to bring an outfit for every day of your trip. You can wash your clothes in any destination you visit! As a senior, it can be exhausting to travel, that’s why it’s important that you don’t force yourself to also carry a huge piece of luggage. This is an obvious one, but it has to be said because it is very important. You need to fully understand all of the side effects of your medication, as well as if it is allowed on planes, etc. Also, remember bring extra so that you avoid running out. It is not always possible to get the medication you need quickly in all countries. As a senior, comfort is important. If you’re flying and you have some extra cash, think about upgrading your seats to enjoy a better experience then, and avoid stiffness for days to come. Don’t worry about the extra costs, you only live once and it’s important to enjoy your holidays! It’s a new world. Hotels aren’t your only option for lodging. Try different lodging options such as hostels, Air BnB, and even Couch Surfing. These options are very welcoming for seniors and often cost much, much less. Finally, and it should go without saying, but get travel insurance. Although it may seem like a waste, you never know when something may happen and you’ll be in-need of it. If you have any concerns or would like some help living more comfortably at home or booking an in home visit, please don’t hesitate to give us a call at 1-866-982-2737 and speak with some about setting up an at home care assessment today. Book Your Free Home Care Services Consultation Today. We go above and beyond the basics in providing advanced approaches to professional home health services. In addition to specialized care at home, you can choose from a complete range of reliable and compassionate home support, companion care, or personal care at home depending on your unique needs. Applying for a job? Please click here to use our Careers Application form instead.